The Dot-Com Bubble in the 1990s led to internet businesses being on the rise. No one could have predicted how the internet would have evolved into the 21st century. Whereas prior to the last decade of the 20th century, majority of firms operated on an offline basis, but this all changed with the boom of the Dot-Com. Although, many businesses were lost this during this period, some brands have survived and even exist in this 21st century, e.g., Amazon (one of the Big Four of technology companies) and eBay. Another evolutionary aspect of the market based in the 21st century is the outpouring of ecommerce businesses. These are businesses which are based fully online. Examples of famous ecommerce businesses in the 21st century include Google, Amazon, Facebook, Twitter, Ali Baba, and many others. Having a creatively designed website and applying proper SEO techniques are important factors in making an ecommerce business successful, but companies should not overlook a vital and free source of advertising-social media. Social media networks are one of the most visited website types across the globe. Facebook, Twitter, YouTube, Instagram, are just a few examples of popular social media channels which you can utilize to promote your ecommerce business. But using social media for promotional means doesn’t simply mean creating a Facebook page or Twitter account for your ecommerce firm. Just like any other process, there are certain methods by which you can use social media to the fullest this new year. • How do you use social media currently? The foremost social media management tip is to take a step back and review how you presently utilize social media networks. You will notice that some pages/channels are performing better than others. Some questions you can ask yourself are: Which is the highest performing social media network? 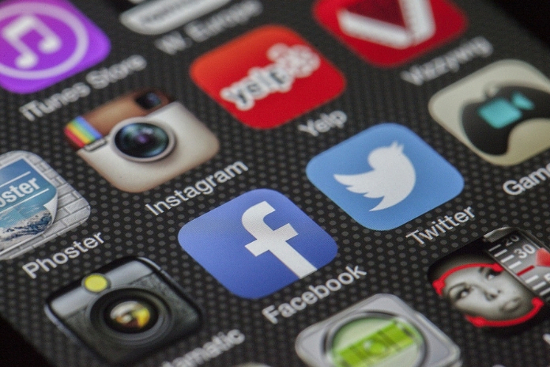 Which social media networks meet your commercial goals? Which social media networks are wasting your time and effort? In order to recognise the channels which are crucial to your business’s growth, it’s recommended that you create an interactive post on each network and check out which gains the most reactions from your followers. Also, be sure to recognise which social media channel correlates the best with your business strategy. For example, if you are not effective at creating high-quality photo content, then Instagram might not be the most lucrative option for you. • Refresh your social media profiles: Just like a website needs a redesign once in a while, your social media profiles should be updated as well. Rewrite the about section and make sure that product descriptions are up to date. Don’t forget to verify whether the links on your profiles are still working or not. Although, refreshing your social media profiles is a simple endeavor, you’ll be shocked at how much a second look can help identify and clarify errors that you had made the first time around. • Update your business plan: The targets you set last year are most probably not the ones you’re aiming to reach in 2019. By researching your analytics, you will be able to identify new goals. Just make sure these are achievable though don’t worry about setting some hard to meet targets as you could end up outdoing yourself in this new year. • Make a proper schedule: Just like any other marketing plan, you need to outline an appropriate timetable in order to upload content at the right times. Uploading content should be a consistent process, just make sure to set a realistic schedule, and not to rush things as poor-quality content is just as bad as posting inconstantly. • Focus on making and uploading videos: Ever since Google bought YouTube in 2006, videos have gained a higher chance of ranking higher in search results over text and photo content. Besides YouTube, other social media network offerings you can take advantage of in 2019 include Facebook Videos and Instagram Stories. • Hire a professional: Sometimes, it is quite difficult to manage both your business operations and your social media networks at the same time. Therefore, you should consider hiring a Social Media Management Company to ease the burden.